Since Mazda decided to rebrand their old 323 as the Mazda 3 things have never looked better for the Japanese automaker. In a class traditionally dominated by the stalwart Toyota Corolla, the Mazda 3 is making a nuisance of itself forcing both Toyota and its other competitors to up their game considerably. So what is it about the Mazda 3 that makes it second only to the Corolla in terms of small car sales? Well, let's take a look at what the 2017 model has to offer. The Mazda 3 comes in six different model variants for both the hatch and the sedan. The sedan (which has more of a liftback appearance) is the more aesthetically pleasing to look at, as the back end, and front end seem more in proportion to each other than on the hatch. Having said that though, it's all a matter of opinion. Space-wise the sedan has a lot more boot, but in the cabin, there's no real difference at all. There are two front wheel drive petrol engines to choose from across the Mazda 3 range. Fuel efficiency is 5.0-5.3L/100km for the 2.0L engine and 6.1-6.5L/100km for the 2.5L. There are two transmissions available in the Mazda 3. A 6-speed SkyActiv-Drive automatic and the 6-speed SkyActiv-MT manual. Although there are six model variants, all Mazda 3s come with a wide range of standard features that could easily be considered extras. The cabins in both sedans and hatches are roomy and comfortable, and with some nice styling touches here and there, you'd be forgiven for thinking that the entry-level Neo was actually a higher-spec car. There's an infotainment screen as standard with Bluetooth and audio capability all controlled by your standard steering wheel controls. You'll also find cruise control, stop/start tech, and a couple of USB ports thrown in for good measure. 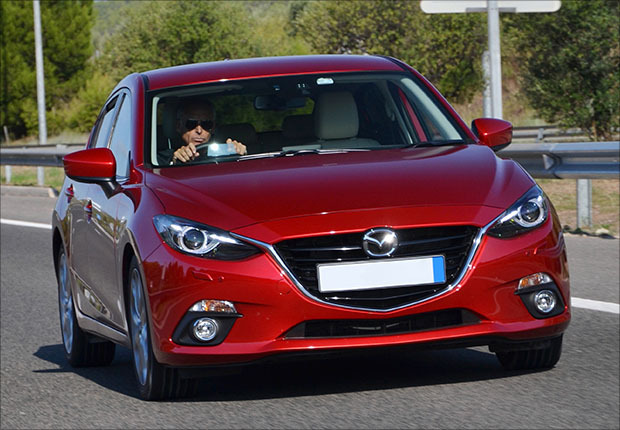 Mazda pulls no punches with their safety measures in their most popular car earning it a 5-star ANCAP rating. And unlike many other small cars, many of the Mazda 3's safety features come as standard. With so many safety features coming with every Mazda 3, it's easy to see why this car is giving the Corolla such a good run for its money. From alloy pedal covers to 18-inch black alloy wheels, it's quite easy to give the Mazda 3 a bit of personality. And not only that, but there is also a wide range of practical accessories that help with everyday life. But perhaps the most notable accessory pack is the Kuroi Sports Pack which completely transforms any Mazda 3 giving it an understated sporty look. Mazda offers the standard 3-year warranty on all of their passenger cars, but unlike many other manufacturers, it covers unlimited kilometres. The warranty coverage is the usual stuff with any defective parts or panels replaced at no cost. Mazda also offers standard pricing for servicing however these costs may change so best to ask your dealer for current details. 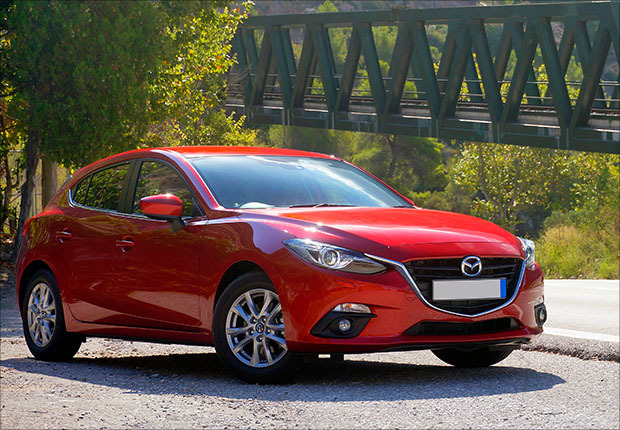 With so many combinations of model and trim the price range for the Mazda 3 is quite large. You can drive one out of the showroom for around $21,000 or if your budget allows, go all the way up to $35,000. Every model variant has the option of an automatic transmission for an extra $2,000, and interestingly, many of the colours available are included in the price. Only the 'Soul Red' and 'Machine Grey' add dollars to your final price but even those are only an extra $300 or so. If you're thinking of investing in a small car but aren't quite sure if you qualify for finance, then get on the phone and give us a call. We'll pull out all the stops to find you the best finance package on the market and have you on the road in no time.